Healthy snacks for picky kids can become overwhelming and expensive. 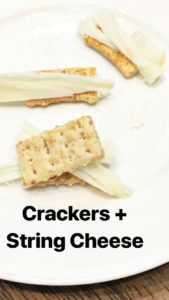 I am all about easy snacks for kids without all the fancy stuff. I’m not the kind of mom to give my kid cutesy stuff only to have it eaten in 2 minutes UNLESS it’s for a party or special holiday. 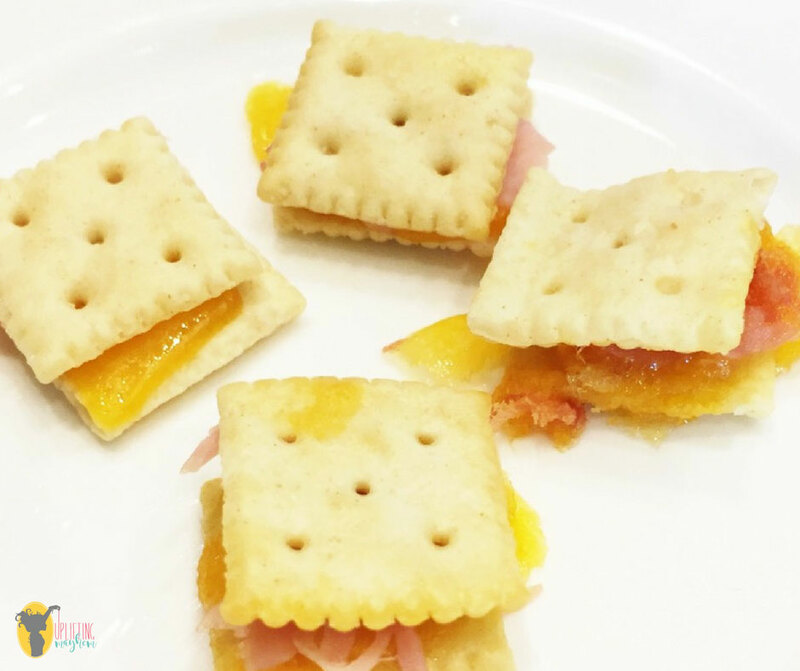 The day to day snacks need to be easy to make and something my boys will love! Over the years we have found the most loved snacks and created some as well. These are foods that most kids love, we have thrown a twist on them to make it slightly different. 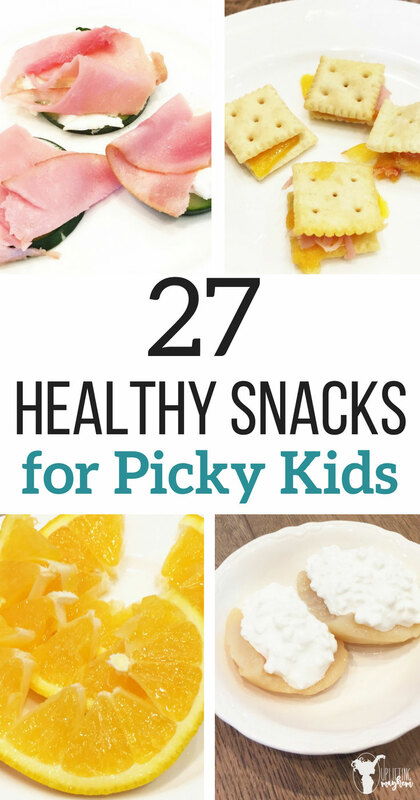 I hope this gives you a great list of healthy snacks for picky kids that will work for you! 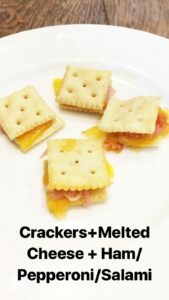 Many of these snacks are easy enough your kid can make them which teaches them independence and confidence in caring for themselves. I have found the more I put out healthy food, my kids eat them more and more. 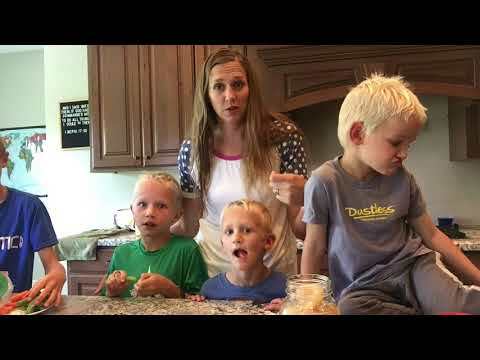 Here is how I get my boys to love fruits and veggies! 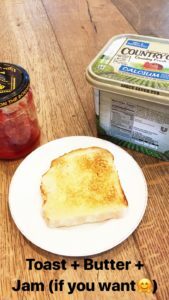 My kids go through toast and jam so fast! It is easy and fast to make. Depending on how old your kid is you can toast these in the oven on broil, or microwave them. My boys are still young enough that they just microwave them. We had a countertop toaster oven that my boys used this all the time for as well. Get some tomato sauce or spaghetti sauce, add some cheese and pepperoni to the top and you are all set. This is one of the favorites. 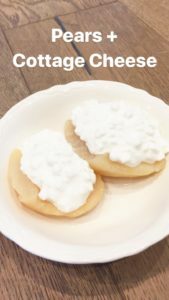 Grab a can of pears and top with cottage cheese. Healthy and delicious. Fast, delicious and easy. We use microwavable popcorn a lot, but we prefer making our own with coconut popping oil and this popper. My boys LOVE this. They like a slice of salami on top. With pressure cookers this has become so easy. Put a cup of water in your pressure cooker. Place eggs on the rack and pressure cook for 4-6 minutes (depending on your pressure cooker). We do a quick release after 6 minutes and they are perfect. My boys make these all the time by themselves. After we finish a jar of pickles, they use the pickle juice to put the boiled eggs in and let it sit for a day or two (or a couple hours like my boys). The classic celery and peanut butter. Again, fast, healthy and easy. My boys LOVE LOVE this. Super easy and something they can grab and eat without any assistance from me. Those are the best kind of snacks. This sounded weird to me at first, but frozen grapes are actually really good and refreshing. This is just as good as a popsicle on a hot summer day and it’s healthy! I like these because they are less messy than non frozen Gogurts. This is actually really really good! Core your apple and then cut your apple so the core would be in the middle creating a donut. Spread peanut butter and then top with granola over the peanut butter. Delicious! Chips and Salsa Con Queso is delicious! You can buy cheese sauce at the store already pre-made, or there are powder mixes you can buy. 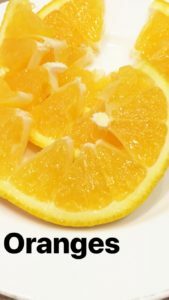 #14 – Oranges cut like a watermelon. Easy to make and a nice change to have every once in awhile. Not only does the lemon juice add a zing to their apples, it also keeps them from going brown! Win Win! My kids love love love pickles. They ask for their own jar of pickled beans for their birthday. 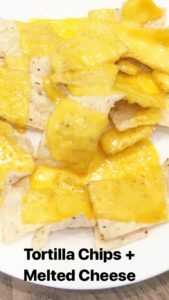 This is also nachos but with melted cheese instead of nacho sauce. We call it chips and cheese in our house. Sprinkle some lemon over the top and you have a delicious snack! This screams YUM YUM! Cut off the stem and top with some whipped cream and enjoy! This is always a nice refreshing treat with little work on your end. It is healthy and delicious! Again the pressure cooker makes this easy! My sister in-law makes yogurt a lot in her pressure cooker with her yogurt making button. She puts it in at night and it’s done in the morning. It isn’t runny and very delicious. My boys created this and LOVE IT! They put salami or pepperoni on a cracker. They put a slice of cheese over it and melt it for a short time in the microwave. This is one of their favorite snacks. Graham crackers are a staple in our house, and dipping them in milk is the cream on top! You soak it for a bit til it gets soft and WAHLA….. ENJOY!! 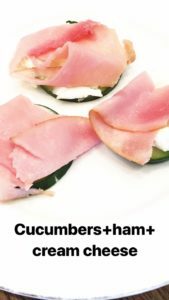 My boys like to peel the cucumber and salt it up whole, but I like to slice the cucumbers and sprinkle the salt over the slices. My boys LOVE this stuff, but they may be weird. HA HA. They cut up cucumbers, onions and tomatoes and put them in 1 part apple cider vinegar and 1 part water. Add salt and pepper to taste. This is delicious on a hot summer afternoon. Cut a slice of watermelon and leave it whole, throw it on a plate, give your kid a spoon and let them go to town. I like to take them outside to eat it, and they love it! It gets them hydrated too! This is one of our favorites. We do this with peaches too when they are in season. Simply cut up your fruit and pour some milk into your bowl. Top with a sprinkle of sugar on top. Here is a video we put together of my boy’s favorites! Enjoy! I hope you have found at least one snack that your kids will love! For snacks that are cute check this post out . What snacks have you found to be healthy and easy that your kids love?